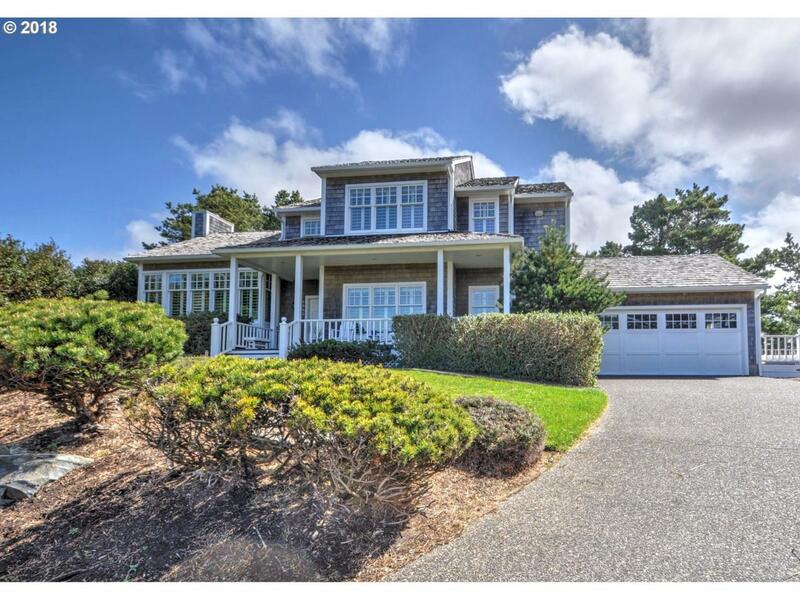 What a sweetheart Classic Beach Home this is in Gearhart's Highlands Neighborhood. Designed perfectly for its lovely setting on elevated grounds backing the Highlands Golf Course. Interior elements include the warmth of wood, brick gas fireplace, wainscoting, trim and cabinetry. French doors off kitchen eating to outdoor brick patio with Golf Course and Mountain views East. HOA includes the Highlands Golf course with owner benefits.